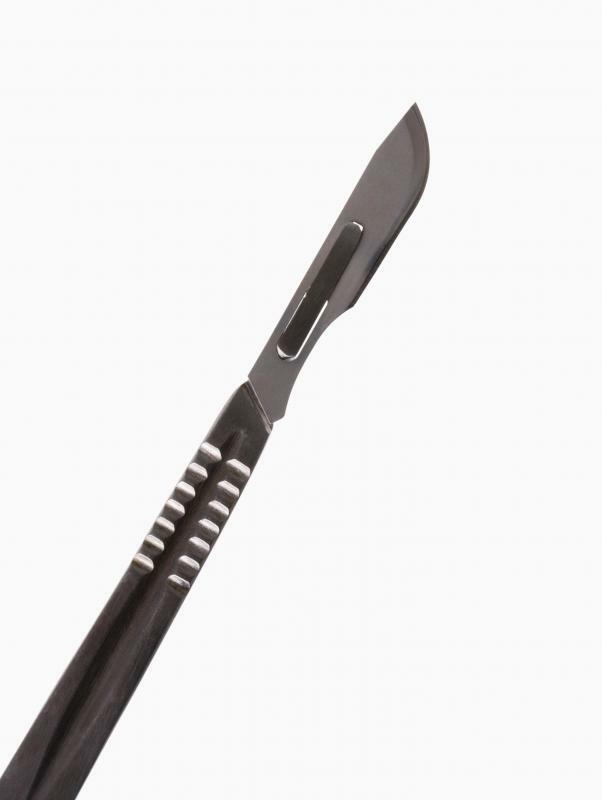 A scalpel is a small, sharp knife that is used in surgeries to make incisions. Blepharoplasty is plastic surgery in the area around the eye. Plastic surgeons have at least one consultation with each patient before they actually perform surgery. 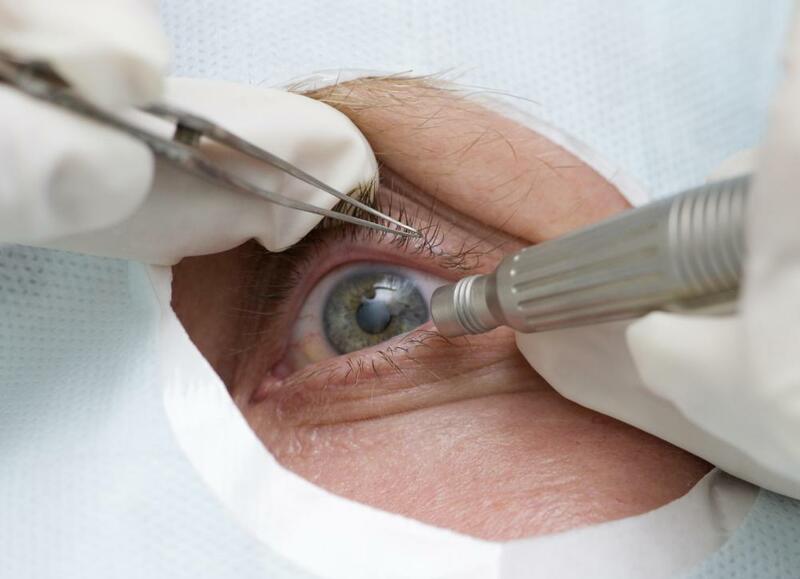 Surgery may be performed to remove excess tissue of the eyelids. Women often have cosmetic plastic surgery in the eye, nose and chin areas. Almost everyone has at least one facial feature that he or she would like to change. Thanks to advances in techniques and products used in facial plastic surgery, practically everything about a person’s face can be repaired, reconstructed or altered to suit his or her wishes. Procedures for noses, cheeks, chins, eyes and lips can be done individually or in conjunction with an overall face lift. The degree of change possible is limited only by the patient’s tolerance for discomfort, a surgeon's abilities and his or her bank account. Blepharoplasty, which is eye plastic surgery, is performed primarily on older men and women. Droopy eyelids are not only aging, they can impair vision. Forehead lifts may be done at the same time to raise sagging eyebrows and remove the forehead creases and frown lines that can occur even at young ages due to heredity and habitual expressions. Thin lips can be augmented using one of the facial fillers commonly used to plump up wrinkles and depressions in the skin. Rhinoplasty is performed to alter the size or shape of the nose, which is the most significant feature of the face. It is one of the most sought-after types of facial plastic surgery, especially among young people. Chin plastic surgery — mentoplasty — and cheek implants address concerns of both young and old alike. Strong chins in men and high cheekbones in women are considered desirable features, and facial plastic surgery may be able to supply them if nature does not. After a certain age, spot repairs may not be enough, and men and women may opt for a complete face lift, or rhytidectomy. Most facial plastic surgery is performed under local and intravenous anesthesia; however, some plastic surgeons prefer to use general anesthesia for face lifts. The procedure tends to be more extensive, so recovery time following a face lift is longer than for some other facial surgeries. Less invasive procedures may be viable alternatives to facial plastic surgery, especially for those with only minor signs of premature aging. As mentioned earlier, facial fillers can be injected to plump up wrinkles and deep lines in the face. A variety of skin peels and laser resurfacing techniques are also available to smooth the skin and give it a more youthful appearance. Laser resurfacing has a slight tightening effect on the skin, which is an added benefit. Generally, insurance companies do not cover plastic surgery that is done purely for cosmetic reasons. Surgery needed to correct deformities or defects caused by injury or disease process may be covered in part or in whole. It would be wise to determine insurance coverage and the cost of the proposed procedure prior to making plans. 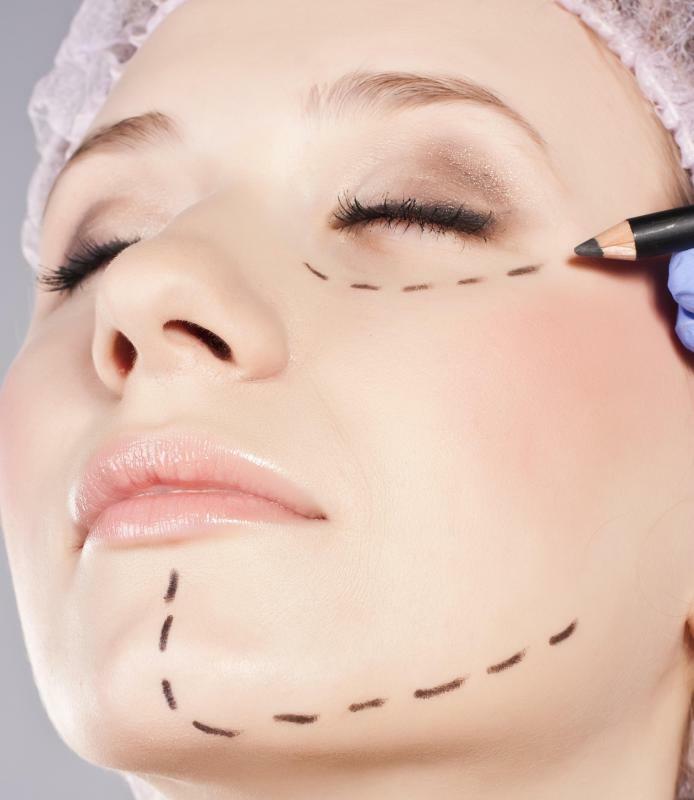 How Many Plastic Surgery Procedures Are Performed Each Year? What Is an Endoscopic Forehead Lift? What Is Reconstructive Nasal Surgery? How Do I Choose the Best Facial for Men? What Factors Affect the Cost of an Eyebrow Lift? If you are thinking about having any of the many types of facial plastic surgery procedures, it is very important to find a board certified surgeon to do your procedure. Though these procedures are often elective, they are still surgery. That's why it is vital to find a doctor who is educated and skilled in the field.